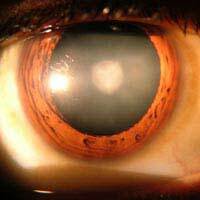 Cataracts refer to a common eye disorder that affects many Britons and others around the world. With our population living longer than ever before, we are frequently seeing more people developing cataracts, particularly in their older years. A new study tracked over thirty thousand postmenopausal women over an eight-year time period. It found that the women who were using hormone replacement therapy (HRT) or had previously used it had a higher rate of cataract removal. It is an important study that suggests you should consider this effect with your doctor before choosing to take HRT. A cataract is a type of clouding that happens in your eye. Specifically, the crystalline lens or envelope is where you start to get anything from a subtle clouding to total opacity. This makes it significantly more difficult for light to pass through, causing near-sightedness. Also, a slow-building yellowing and progressive opacity of the lens can make it harder to properly see blue colours. Cataracts usually develop quite slowly but they do cause you to lose vision and if they are not treated, can cause blindness. While both of the eyes are typically affected, one eye usually shows signs and symptoms before the other. For the women who participated in this study, it was found that approximately 4,300 cataract removal surgeries were done over the eight-year window of time. This translated to an increased 14 percent risk for women who had used HRT at some point in their life. It was an 18 percent risk for the women who were currently using HRT. This is, of course, compared to women who had never taken HRT at any time. Overall, the longer a woman used HRT, the higher her risk of cataracts. In postmenopausal women, there is already a higher risk of developing cataracts compared to men in the same age range. Researchers think that this higher risk relates to hormones, explaining why the use of HRT has such a significant effect on the development of cataracts. In fact, there are even oestrogen receptors that have been identified within the lens of the eye. The lens is the part that gets clouded and loses flexibility when a cataract starts to form. While naturally occurring oestrogen seems to have a protective effect on the eye in terms of cataract formation, the oestrogens in HRT do not work the same way in the body. Alcohol was also a factor, where researchers found that it increased the negative effect the HRT had in the development of cataracts. The current HRT users who drank more than one alcoholic beverage a day had a 42 percent increased risk of developing cataracts. Smoking, however, did not link up to an increased risk. These kinds of daily use factors are important to establish in research because they help us to understand how certain lifestyle factors join with drug effects to influence our health. While there is a tendency to assume a treatment is ‘bad’ when we hear about a research study suggesting problems with its use, you should not shy away from HRT too quickly. It is very much an individual choice. You must not only balance the known risks and benefits but also factor in your own health situation. This is where your doctor comes in to help inform you and guide you toward the right decision, whether that is HRT or another menopause treatment.